Thanks for visiting our site, we hope you find all the information you need for the upcoming season. Please see the general information below, and use the links to the left to view or download the 2018/2019 tryout information, league info, gym locations, ways to contact us or other frequently asked questions. Please explore our website for detailed information about our program and our season.  To view information about the leagues where we play, be sure to visit their websites by clicking the links to the left. while they are given the opportunity to develop as people and players.